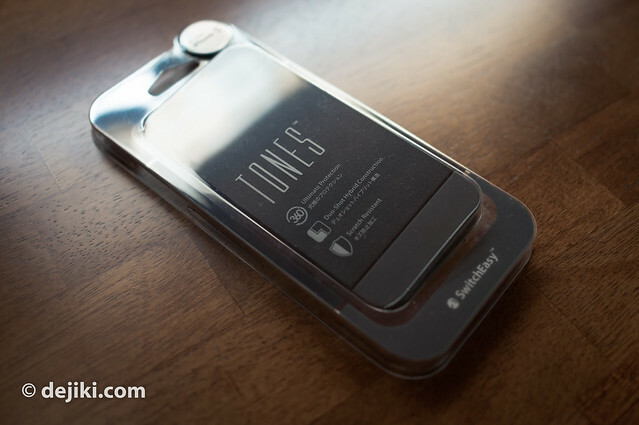 Switcheasy TONES is a slim case for the iPhone 5. It wraps around the sides and back of the iPhone. Perhaps the most compelling feature of this case is its duo-material construction, which mimics the two-tone look of the iPhone 5. 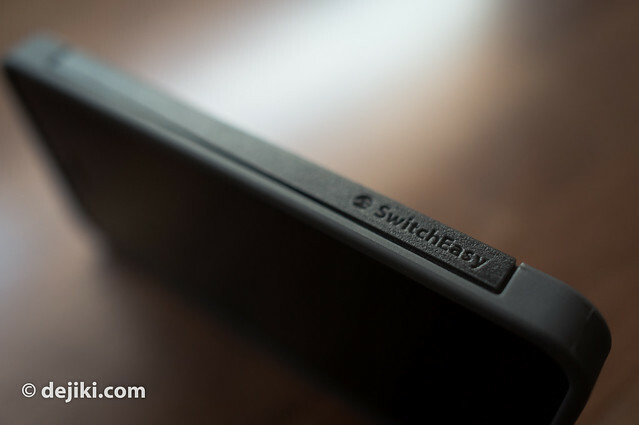 The Switcheasy TONES finally landed in Singapore last week, with a retail price of S$35. I’ve decided to write about this case because I think I found the case. Read on to find out more. Three main features: Ultimate protection (hmm? ), Duo-shot Hybrid construction (we can see that) and scratch resistant. 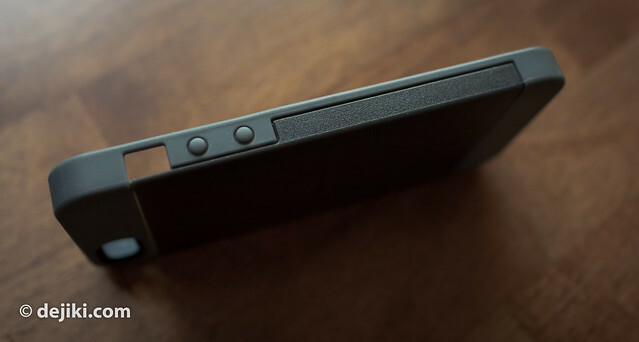 Here’s the case, in Black/Grey. 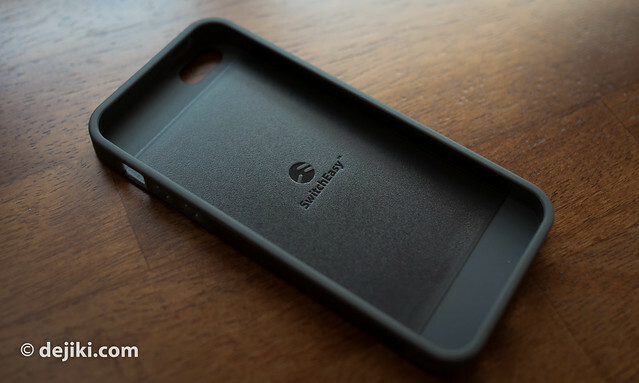 The dark grey part is hard polycarbonate while the lighter grey is made from a softer material – Thermoplastic polyurethane (TPU). The TONES case comes with a lot of accessories. All the plastic films you need (even TWO for the front! ), and two pairs of rubber port protectors. 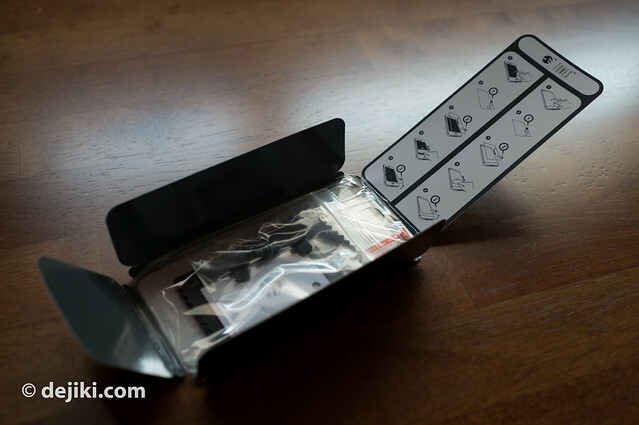 It all comes in this little envelope which unfolds and reveals pictorial instructions of how to apply the films and use the accessories properly. Here we can see what the “Duo-shot Hybrid Construction” is all about. The polycarbonate section extends to the sides, and it keeps the side “lips” of the case very firm. 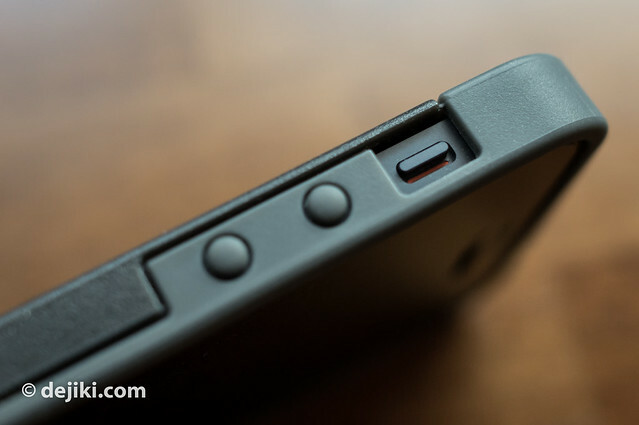 For most soft rubber cases, the vertical edge (or “lips”) at the front are usually the weakest part of any cases. Over time, these parts become loose (and may even snap!) – I think the TONES case is a lot more resilient as the polycarbonate sections provide sufficient reinforcement. This is not exactly the thinnest case you can buy (I used 0.3mm TPU case before) but definitely one that is slim and provides some protection. 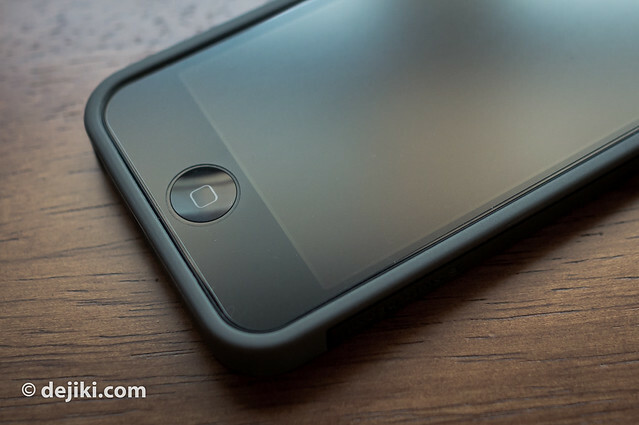 After putting the case on, the iPhone is about 10mm thick – which is slightly more than an iPhone 4/4S with nothing on. I’m happy to announce that my Westone 4R works with the Switcheasy TONES. 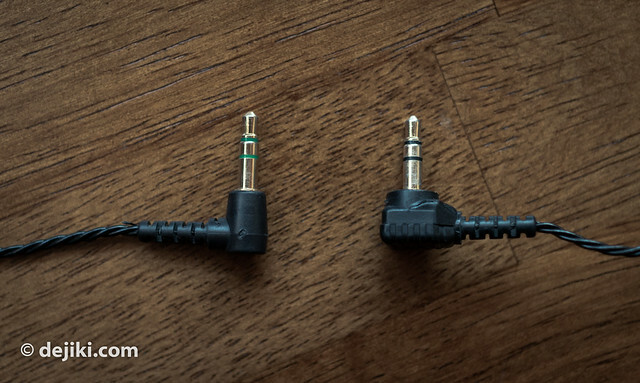 Here are two headphone jacks. The one on the left is the newer Westone plug (4R) and the older one from my Westone 3 (similar to most UM series). It won’t fit the iPhone 5 with the TONES case on. I believe all of Westone’s numbered series (Westone 1, 2, 3, 4, 4R) come with the new plug now. 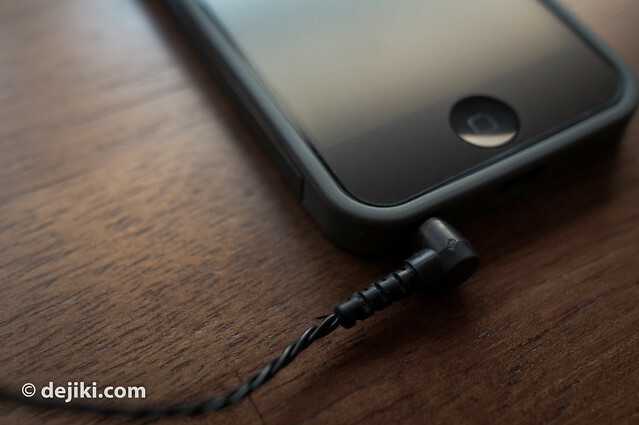 Ultimate Ears earphones should also fit, including the new UE900 which has a rather interesting headphone jack design. As for headphones and earphones with larger headphone jacks, the only option would be to get an adapter, if you’d like to use the TONES case. What do I like about the case? It’s slim, lightweight and feels well constructed. 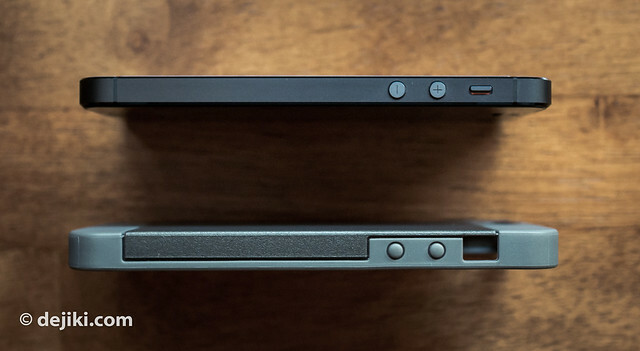 The raised edge around the front allows me to place the iPhone upside down on a surface with no worries. I like how the case feels in my hands. The coarser, hard polycarbonate surface rests on my palm, and my fingers grip the softer TPU edge that offers adequate friction so I’m less likely to drop my iPhone. The build quality of this case feels sturdy, especially the sides. It can be a difficult task to remove the iPhone from this case due to that quality, as the vertical sides are quite inflexible (but for good reason). I actually bought this case for moments where I needed more protection and better grip (days spent mostly outdoors), but I ended up leaving it on. 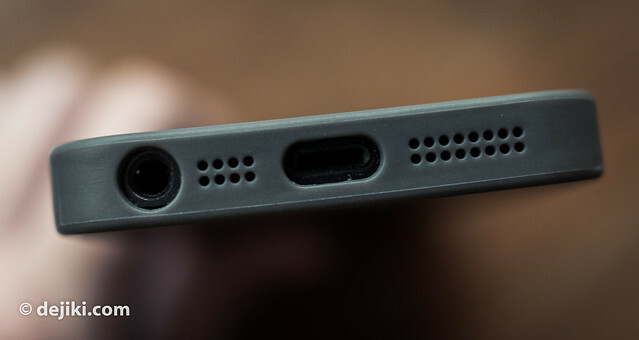 Another thing: the inner side of the case is not lined (it’s just soft and hard plastics), which might cause scratches on the iPhone 5’s fragile chamfer over time, similar to the iPhone 4 and Apple’s Bumper cases. I’m not sure if it’s going to be a problem with TONES because I’ve only used it for a week – but I’ve just removed it and there weren’t any scratches. Lastly, despite how strong this case might look, I don’t think it offers much drop protection. I haven’t tried it myself, but the case is rather slim – good for short drops, like out from a pocket while sitting down. 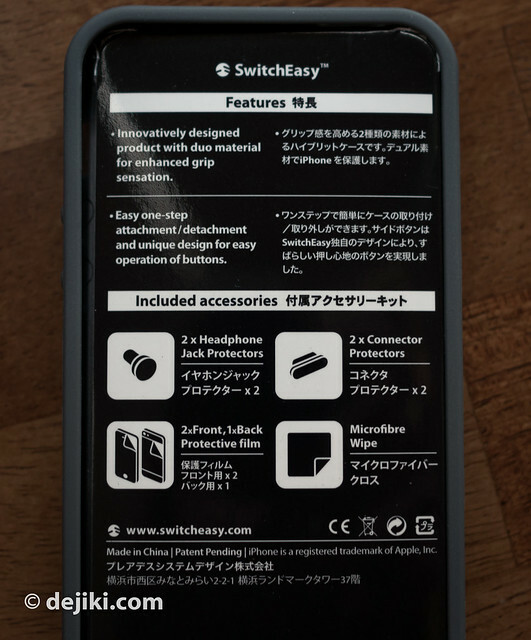 Switcheasy TONES case was available in the US for some time, but only reached Singapore last week, with a recommended retail price of S$35. It can be found slightly cheaper (S$3x) at some online stores and shops. I still have not determined to get one myself..
It’s just every time I have the impulse, I will think of how a new generation will come out soon! Now is the best time to buy if you are considering at all as the iPhone 5 is out for just over a month. What mobile phone are you using right now anyway? If your friend bought the iPad from Apple Online Store, she might be able to return it for a refund or exchange it for a fourth-generation iPad. I am using HTC Desire HD. Where did you buy this case ? !